Playforever are a London based Designer Toy Manufacturer. 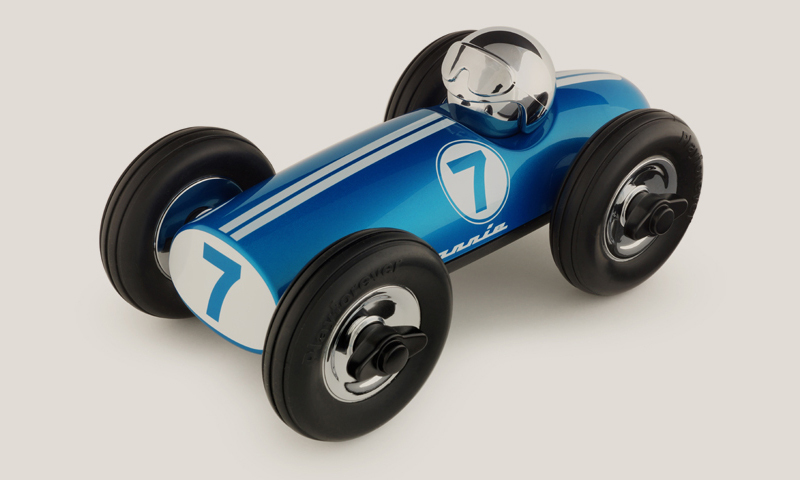 In 1995 Julian Meagher began designing a range of timeless and elegant toys aimed at exclusive retailers. The Roadster, Plane and Motorbike make up the Classic Playforever range along with the stylish Midi and Mini series of cars. Loved by adults and children alike, all Playforever Toys are designed in the United Kingdom and built to last using the best materials available. The toys are tested to meet specific performance requirements including endurance and finish.